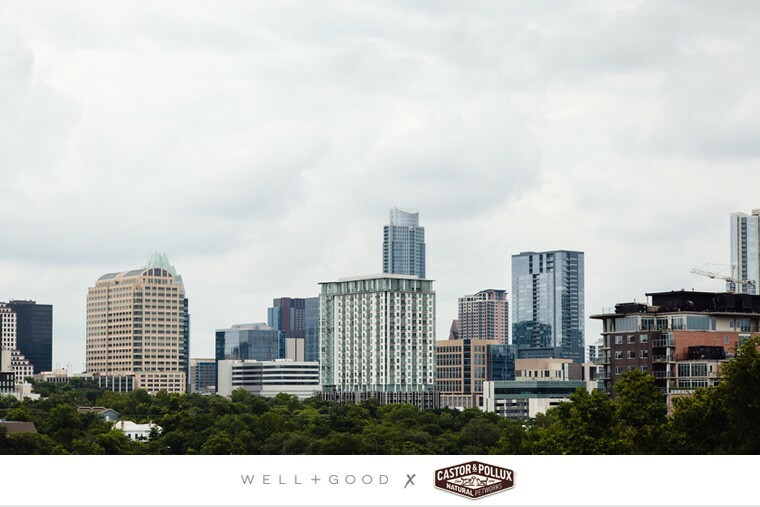 To get the insider lowdown on the taco-loving Texan city, Danielle Sobel—owner of Juice Society and Flycatcher Farms—is giving us a peek inside her favorite Austin spots for pet parents. And as dog mom to three rescue pups (Zoey, Lyla, and Emma), she knows a thing or two about taking your canine BFF along for the ride. Launch the interactive map above to see all of Sobel’s best Austin picks, and scroll down for the full listings. 1. Juice Society: As the founder, Sobel may be biased—but we give this spot the full five stars. With superfood-loaded smoothies, adaptogen-filled coffee potions, and energizing cold-pressed juices, it’s a must-visit for any wellness buff—and a great spot to people watch for pups due to the outdoor seating. 2. Red Bud Isle Park: Austin is loaded with trails that snake right through the city, but this spot is a bit of a hidden gem. Along the wooded path, you’ll run into plenty of locals taking their dog for a dip in the dark turquoise lake and checking out the views. 3. Flycatcher Farms: What started as a spot for Sobel to grow produce in a sustainable greenhouse has morphed into a refuge for rescue animals (goats, pot-bellied pigs, chickens, and a donkey included). Stop by to say hi to the animals with your pup on the rustic property. 4. Yard Bar: Think of this as a happy-hour spot and dog park in one. Humans can sip on a seasonal cocktail (all with preservative-free ingredients) while their furry friends run, jump, and play in the expansive outdoor area, specifically designed for canine patrons. 5. Pet food shops: To keep your travel-mate fueled, load up on Castor & Pollux PRISTINE™—the only complete line of pet food made with responsibly sourced ingredients—at pet specialty stores (like PetSmart and Petco) and natural grocery stores (like Whole Foods and Central Market) in Austin and nationwide.